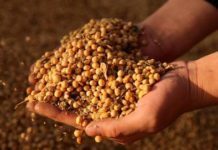 India, which used to be a major exporter of soymeal, has entered into contracts to import around 10,000 tonnes, as international prices have dropped sharply below domestic rates. Indian soymeal is selling at over Rs 35,000 a tonne in the domestic market, while the same is available in the international markets at less than Rs 31,500 per tonne, delivered on the ports. Though India imposes a duty of 15 per cent on imported soymeal, such has been the slump in global markets that it is still cheaper than locally produced ones. 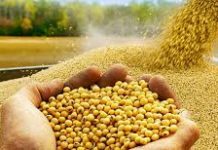 The imports, which are mainly coming from China and are being done through traders; however this might not yet open the floodgates for entry of genetically modified soymeal into the country, as rules specify that meal produced from non-GMO soymeal can only be imported into the country. Soymeal is extensively used in the feed-meal industry as cattle feed. Indian soymeal, always commanded a premium of $50-$60 per tonne in the international markets as they were produced from non-genetically modified soy seeds and hence were healthier. But, because of a sharp fall in global markets, India’s own soymeal exports slumped in 2015-16; such was the fall in rates that now buyers are preferring to purchase soymeal from abroad rather than sourcing it from local oilseed processors. India’s soymeal exports have dropped by almost 62 per cent in April-September 2015-16 as compared to the same period last year, data from the Solvent Extractors Association showed. In 2014-15, India exported 0.65 million tonnes of soymeal, which was almost 3.43 million tonnes in 2012-13. India exports soymeal to south east Asian countries such as Vietnam, Thailand, Indonesia besides the neighbouring Bangladesh, Pakistan and Nepal. 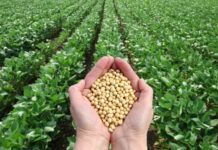 According to USDA, numbers, China has so far exported over 1.6 million tonnes of soymeal in 2015-16, as against just 472,000 tonne in 2010-11.